The ten trails featured on the free app include adventures specifically designed for families with children aged between 6 and 14 but can be used by people of all ages. The project has received funding under the Healthy Ireland Local Community Development Committee National Programme. In additional to the 10 parks already launched, two more are in development - Lough Gur and Kilmallock. All that’s required is that you download the App, pick a celebrity to help find a trophy, lost keys or a code, and enjoy running, walking or jogging around the park to find the hidden treasures. Answer a question and you will be directed to your next hidden treasure. The App is about creating awareness, having fun together and getting all ages, levels and abilities to be active in local parks. The World Health Organisation estimates that approximately 3.2 million deaths each year are due to insufficient physical activity. At present, the Limerick Sports Partnership are working with Limerick City and County Council, Healthy Limerick, the Limerick Local Community Development Committee (LCDC) and various other key board partners to ensure that Limerick City and County receive the best possible opportunities in relation to physical activity. Creating awareness of existing outdoor recreation facilities/ amenities is key to keeping and getting people active. This newly developed adventure walking app will add to the use of the various free parks, trails and walkways that exist throughout Limerick and while also catering for all the family. 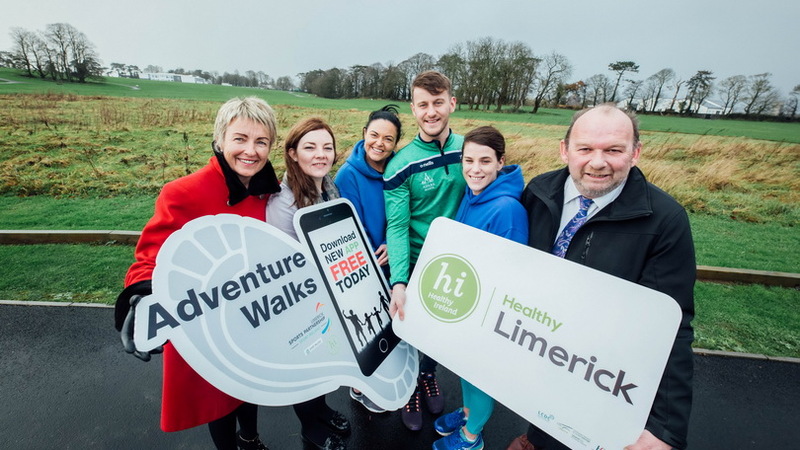 For more information on the Adventure Walks Limerick App please go to www.limericksports.ie or contact the Limerick Sports Partnership on 061 333600. The course comprises of a weekend of training followed by a 4 walk task to try out your new Walking Leader skills.Walking Leader Training is primarily aimed at people wishing to lead a walking group or promote walking in their community or workplace. The course comprises of a weekend of training followed by a 4 walk task to try out your new Walking Leader skills.Irish Heart Foundation, Sport Ireland and the HSE are subsidising the Walking Leader Training weekend and there is a nominal cost of €50. The course fee will cover your tutor costs and materials. It will also include lunch on both days.